Everyone Deserves a Good Steam! 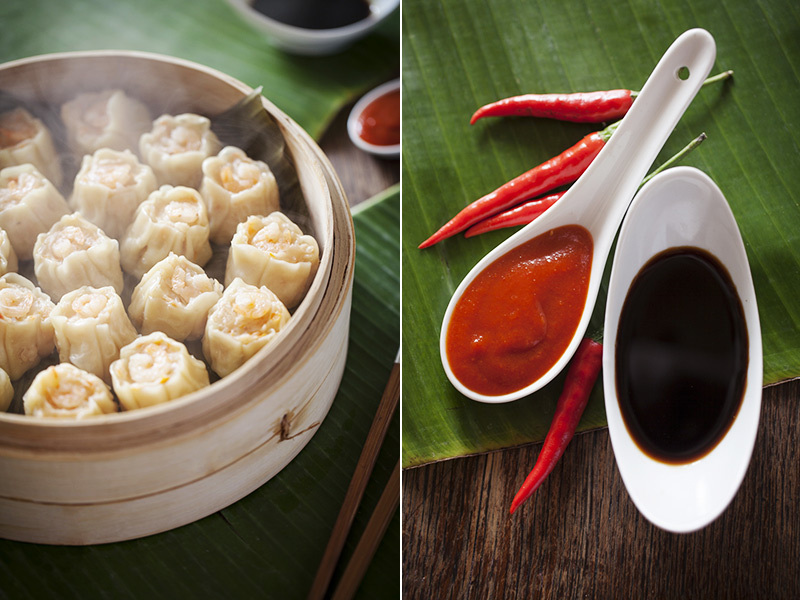 Siu Mai, Shaomai or Shumai……Delicious no matter how you spell it! 20-30 Small frozen prawns such as Morcambe Bay or Icelandic cold water shrimp. Asian canned small prawns work just as well. Combine all ingredients and refrigerate for at least an hour before filling the wrappers. To fill the wrappers; line a 30 ml (one ounce) shot glass or and egg cup with a wonton wrapper and fill with the filling. Carefully remove from the holder and flatten the bottom on a smooth surface. Top with a small prawn. Steam the dumplings for 12 minutes in an Asian bamboo steamer or other steamer that has been previously lined with parchment/wax paper or a banana leaf. Tip: Serve with a selection of sauces such as soya, Hoisin and Sriracha to name a few.